It’s likely that in the last several years you’ve seen some sort of article or internet “meme” about alkaline diets. You may have even noticed that now you can buy “alkaline water” by the bottle in the grocery store. Today, I’m going to delve into the claims, and the science, behind alkaline (and conversely, acidic) diets. First, the claims. I’ve seen everything from arthritis to cancer touted as being cured by an alkaline diet. The suggestion is that foods such as meats, dairy, white flours and grains, sugar, alcohol and caffeine, and anything “processed” make your body, or more specifically your blood, more acidic, which is bad, and causes a whole host of medical issues. Therefore, switching to an alkaline diet – one made up of fruits and veggies, whole grains, unprocessed (or minimally processed) soy, nuts and seeds – will “cure” those medical issues. Let’s talk science. Here’s a refresher on pH, which measures how acid or alkaline something is. 0 is completely acidic, 14 is as alkaline as possible. 7 would be neutral territory. Your body doesn’t have just one pH. Blood is slightly alkaline, kept in a very narrow range of 7.35-7.45. Your stomach, however, is quite acidic, at 3.5 or below. That’s a good thing, because that helps to really get digestion moving along. Your urine will change pH slightly – again, that’s a good thing, because it will help to regulate your blood pH, keeping it in that very narrow range it needs to be at. 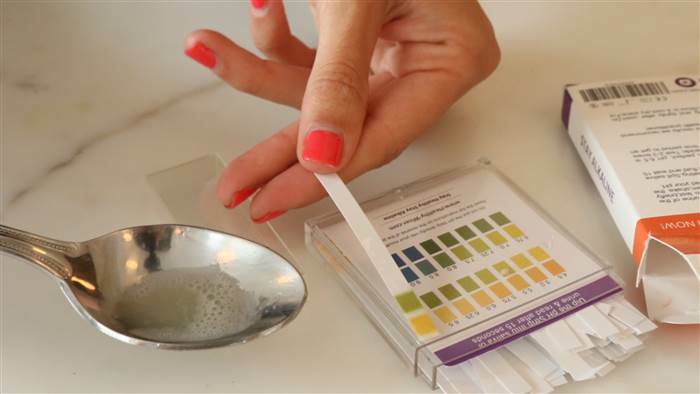 One of the ways that alkaline diet purveyors will try to show you “proof” that the diet is working is that they’ll tell you to test the pH of your urine. That’s done with cheap and easily accessible pH test strips. However, remember how I mentioned that your urine will change slightly in order to regulate your very tightly controlled blood pH? Therefore, determining your urine pH won’t give you information on anything other that just that – only the pH of your urine. And let’s hope that your blood pH hasn’t gone out of it’s narrow range, simply by eating a burger or a salad! That would lead to very serious, potentially life threatening disorders, called acidosis or alkalosis. Another red flag for me is that some of their advice is completely contradictory. “Start your day with a glass of warm lemon water” they said. Ingesting shots of unfiltered apple cider vinegar is encouraged. But wait – both are highly acidic – about 2 on the pH scale. But somehow, these highly acidic liquids will make “your body” more alkaline? How in the world can that be? No one could ever answer. Here’s the bottom line. The basis of the alkaline diet – eating whole, plant based foods – IS healthy. But not for the reasons the alkaline diet purveyors suggest. So save your money! Don’t buy alkaline water or pH test strips! And the next time you see someone pushing the complete and utter nonsense that is the alkaline diet, send them the link to this article. And as this is a very brief posting, if you have questions that I didn’t answer, post them in the comments and I’d be happy to answer them!